My mom and uncle were on a stroll when they spotted these two in sweet repose on some steps. 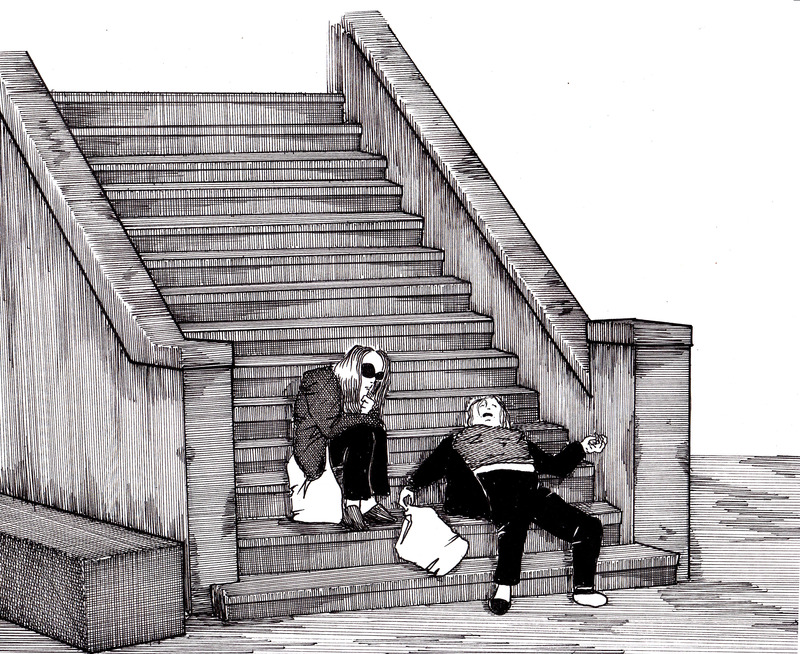 This entry was posted in 2014, art, comics, illustration and tagged art, cartoons, comics, homeless, illustration, on steps, peter glanting, potrero ave, san francisco by pgglanting. Bookmark the permalink.